Halloween is our family's favorite holiday! I love choosing my kid's costumes with them & dressing them up! This year I was on the hunt for quality, affordable costumes for all the kids and I found them at Wholesale Halloween Costumes! Wholesale Halloween Costumes also has many accessories if you aren't looking for a specific Halloween costume. They sell hats, wigs, masks, makeup, etc. This is a one stop shop for all of your costume needs! I've noticed that their prices are much better than other costume shops. Wholesale Halloween Costumes has super cute boys Halloween costumes. My oldest son wants to be a police officer just like Daddy, so he was ecstatic to receive the Junior Police costume! This costume was very realistic! It came with lots of great accessories that definitely made the final touches! My little guy loved wearing it and felt just like daddy! Dressing up isn't just for Halloween! I was also super excited to see that Wholesale Halloween Costumes offers more than just Halloween costumes! They have Thanksgiving & Christmas costumes, too! Even Santa suits! I love this Lil Gobbler Costume! I think I'll be dressing the kids up in Thanksgiving & Christmas this year. I can't wait to see how adorable they'll be! I've been on the hunt for Halloween costumes for all my kids! Halloween is our favorite holiday and I love dressing them all up, in their favorite characters or something to do with their favorite hobby. They love picking out their costume, and trying it on when it arrives, and they get so excited for the big day! They love going trick-or-treating with their cousins! I just found a great site for costumes, Anytime Costumes. Anytime Costumes has tons and tons of costumes! They have kids costumes, adult costumes, and lots of great accessories! We received the toddler Amtrak Engineer costume. My oldest LOVES trains! His cousin is going to be Thomas the Tank Engine this year, so he wanted to be an engineer. I was super impressed with the quality of this costume. It wasn't thin like most Halloween costumes you buy at the store are. He looks super cute dressed up like a little engineer! 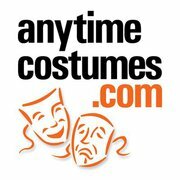 AnytimeCostumes.com is a family owned and operated company. We began in 1975 as a retail party and costume store and grew to be Long Island’s leading Halloween and holiday costume supplier. Click here to shop at Anytime Costumes! Thanks to Anytime Costumes, one lucky Giveaways for Mom reader will win a costume of their choice (up to $50)! 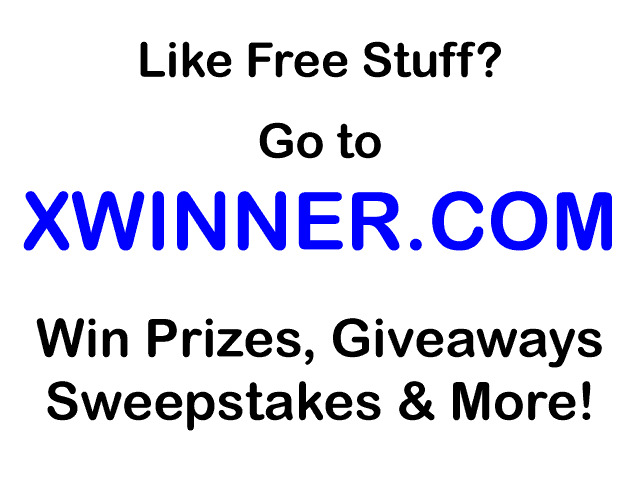 The winner will be chosen on September 26, 2011. Good luck! Halloween is our FAVORITE holiday! We enjoy getting dressed up (dropping the kids off with grandma!) and enjoying the night with our friends. My husband and I spend the whole year talking about what we're going to dress up as for Halloween. This year, we decided to be pirates! The one thing I don't like about Halloween is the expense! Last year I dropped several hundred dollars outfitting everyone at the local costume specialty shop. So I was very excited when I found Costume Supercenter! They have TONS of great womens Halloween costumes. I checked out all their pirate costumes and it was hard to narrow it down! I finally settled on the High Seas Buccaneer Adult Costume and even found one for my husband! I was super impressed with the quality of this costume! Most Halloween costumes aren't made to the quality I desire; they're thin and flimsy. This costume was higher quality than I usually find in Halloween costumes and was more affordable as well! I also really appreciate their risk free shopping guarantee. If you're not happy with your costume, they will exchange it for free and pay shipping both ways! They also provide SAME day shipping on all orders placed before 3PM. That is awesome customer service! Costume Supercenter has costumes for everyone! They have women's, men's, teens, plus size, children, even infants! They also carry lots of accessories to put the finishing touches on your costume. I just can't get over the great price of these costumes; I'm so used to seeing similar costumes at specialty shops with a MUCH higher price tag! It's nice to know I'll be able to outfit my whole family this Halloween without breaking the bank.